Sims began her dance training at the age of ten. She studied until seventeen when she graduated high school. After high school, she studied at the Harkness School of Ballet. Sims’ professional career began with Les Grands Ballet Canadiennes where she danced in the corps de ballet. In 1972 she was invited to join the Geneva Opera Ballet by company director Alfonso Cata. He became her mentor; and when he became director of the Frankfurt Opera Ballet he offered Sims a position as a soloist. One year later, Sims became a principal dancer. In 1977, Sims returned to the United States and joined the Eglevsky Ballet Company as a principal dancer. 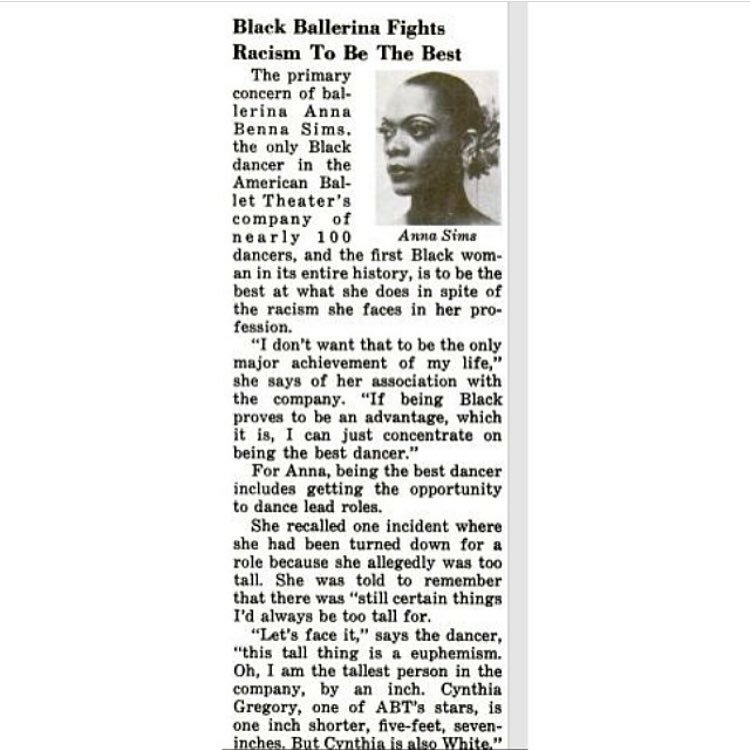 In 1978, she performed in Ballet on Broadway. 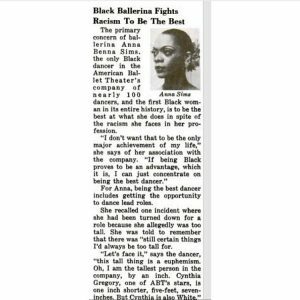 Sims, who joined American Ballet Theatre in late 1978, was the first African American female to hold a contract with the company. Though Sims was in the corps de ballet, her first principal role was in Anthony Tudor’s Undertow with Peter Fonseea, a “demanding dramatic ballet.” She was also in the first cast of the company premier of Paul Taylor’s “Airs”.